I was hesitant at first when I saw the quinoa. Whenever I see quinoa, I expect the meal to be bland. But with the help of the roasted beets, pecans and oranges, this salad was enjoyable. When I took a few bites, I was impressed. I made it about three-quarters of the way through until I started to get sick of it. I blame the crunchy texture of the kale. Their site says the salad has “Arugula, romaine, kale and radicchio blend and pickled red onions tossed in apple cider vinaigrette and topped with quinoa, Gorgonzola, roasted beets, mandarin oranges and toasted pecan pieces.” I usually dislike raw onions, but these pickled red onions weren’t bad! It is 490 calories for a whole salad, 240 for half. I had the You Pick Two, so mine was half a salad and was still too much for me. For a half with the You Pick Two, it costs $5.39 at my location. 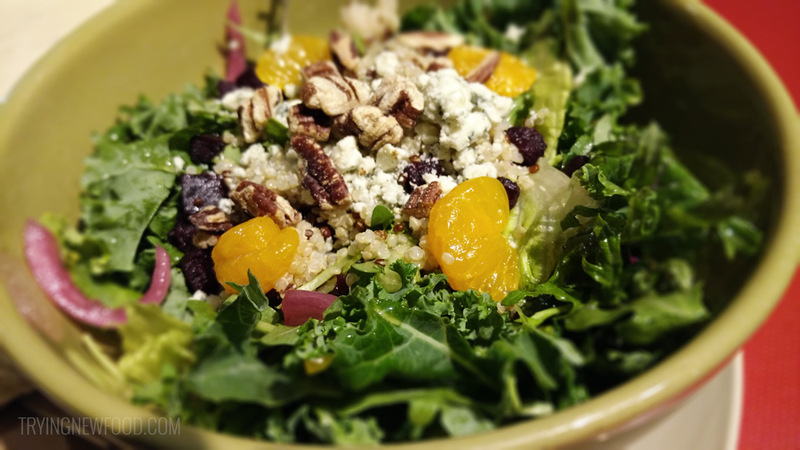 You can see more details about the Panera Roasted Beet, Quinoa and Citrus Salad on their site here. Click here to view all of my Panera reviews, or leave me a comment below on what you thought of this new Panera salad! Best salad ever!!!!! Not sure what Jan 6th was talking about. DELISH!!!!!!!!!!! I read the sign wrong and thought I was ordering a Roast Beef salad (Silly me! To be fair, it was really early). I took it to go for lunch. By the time I sat down to eat it, I realized I had roasted beets! I didn’t know what to expect, but it turned out to be the best salad I’ve ever had! I had a full portion and devoured it. Now I’m looking for a copy cat recipe so I can make it at home. Oh no! I never noticed it before, but Roast Beef and Roast Beets are very similar-looking. Happy you ended up trying something new and finding the best salad ever! 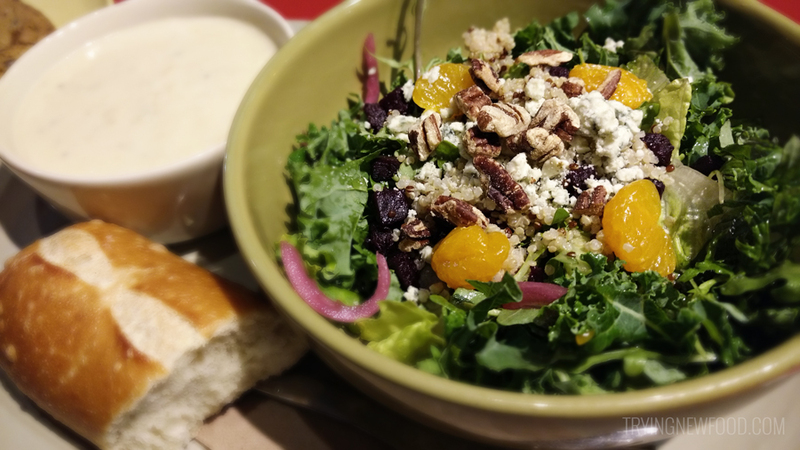 Maybe https://www.panerabread.com/en-us/recipes/orange-chicken-salad-with-roasted-kale-and-beets.html would make a similar salad? Just soak cut red onions in apple cider vinaigrette and add Gorgonzola cheese if you want to make it even more like the original.